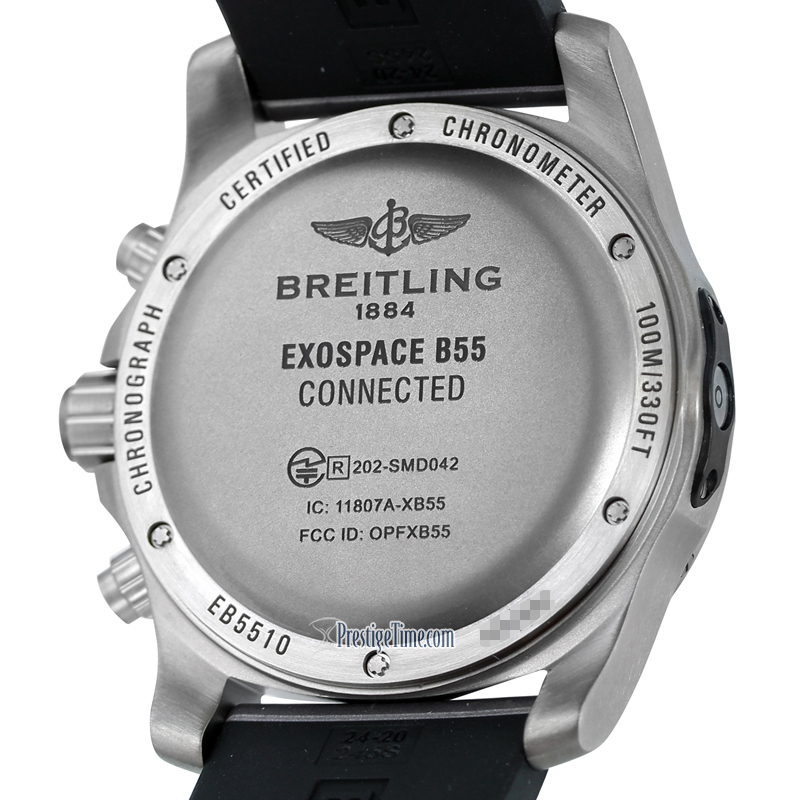 The Breitling Exospace B55 features pairing capability with a smart-phone via BLE (Bluetooth Low Energy) for data transfer and remote settings, such as time, date & UTC time correction. 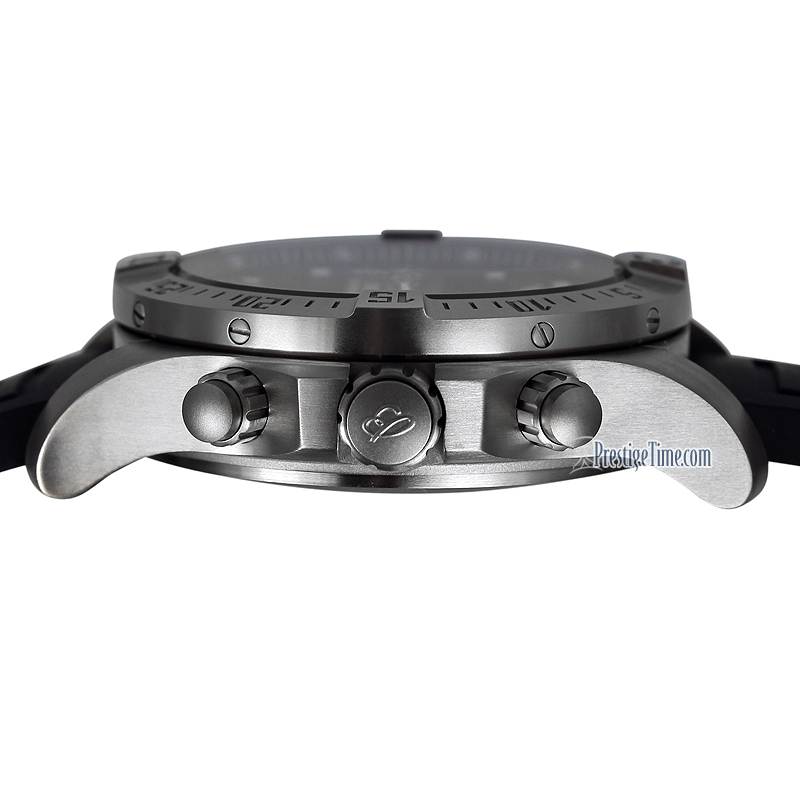 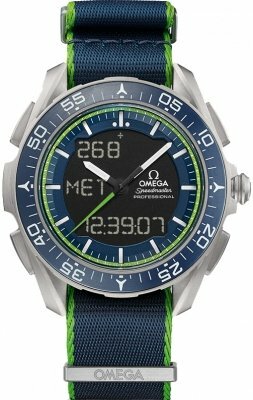 Also features phone call notification on the watch. 3,6 & 9 are applied polished Arabic Numerals. Black hour & minute hands with luminous fill. Hour hand partially skeletonized. 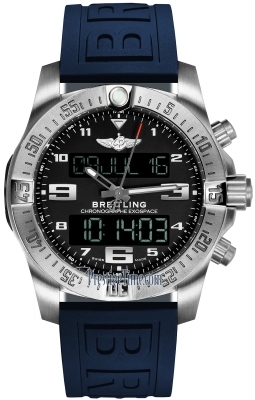 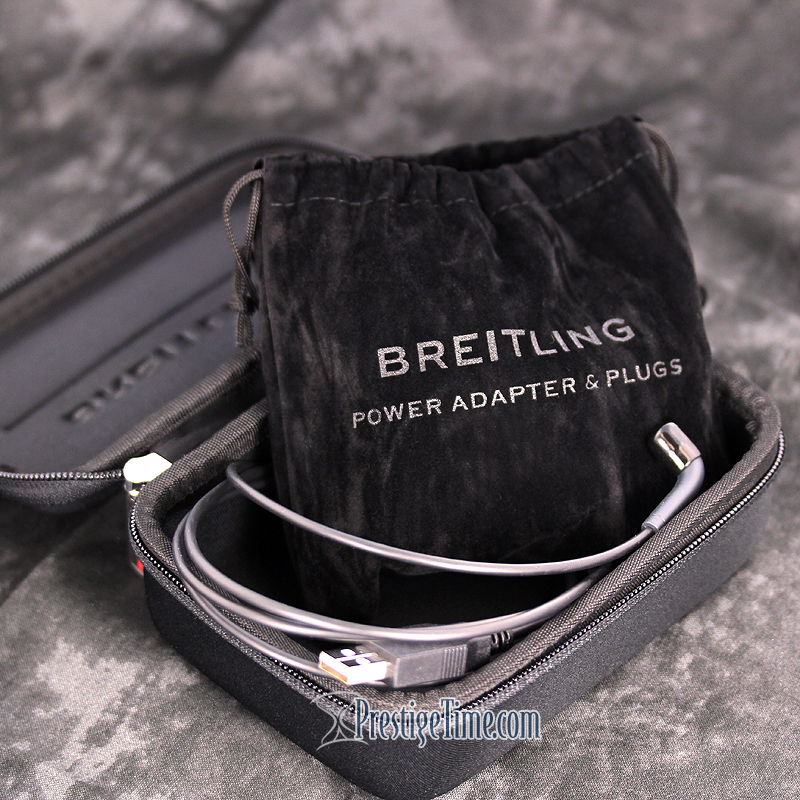 Breitling B55 Thermo-compensated SuperQuartz in house movement.